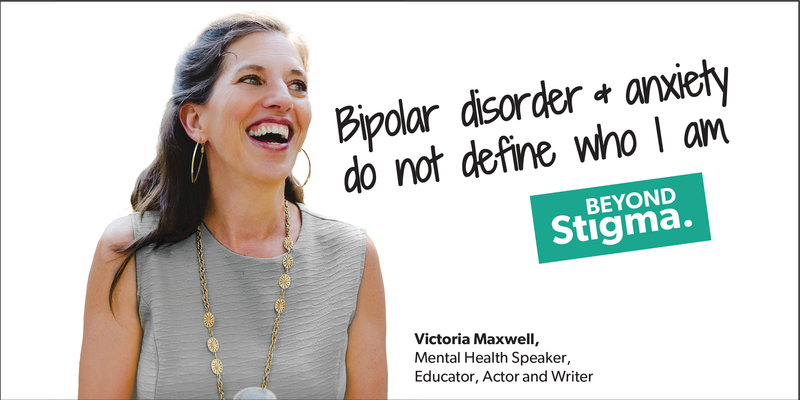 We are excited to share that award-winning actress, mental health advocate, and CREST.BD network member Victoria Maxwell will be performing “That’s Just Crazy Talk” at Roundhouse Community Arts & Recreation Centre in Vancouver, Canada, on February 6, 2018. The event is part of “Beyond Stigma: Conversations about mental health, courage and hope”, a Vancouver Coastal Health initiative aimed at combating the stigma surrounding mental health through education and public engagement. 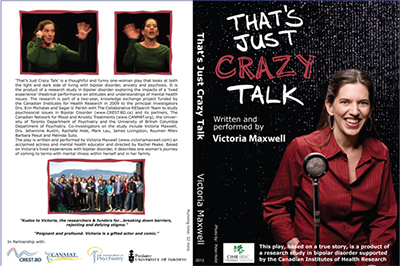 Co-produced by CREST.BD, and written and performed by Victoria Maxwell, “That’s Just Crazy Talk” describes one woman’s journey of coming to terms with mental illness within herself and in her family. The performance reflects on decades of personal and familial mental illness, turning the narrator’s experiences of stigma into a vivid portrait of life with bipolar disorder. Doors open at 5 p.m., with opening remarks starting promptly at 6 p.m. This event will also be live-streamed here courtesy of Vancouver Coastal Health. In 2011, CREST.BD embarked on a study to explore the impact of a theatrical performance on mental health issues as part of a “Knowledge to Action” study funded by the Canadian Institutes for Health Research. We used quantitative and qualitative methods to assess the impact of “That’s Just Crazy Talk” in 164 people with bipolar disorder and healthcare providers, and results demonstrated it was an effective mechanism for reducing stigmatizing attitudes, particularly in healthcare providers. A filmed version of the show, which has also been shown to have a positive impact on stigmatizing attitudes, is available at VictoriaMaxwell.com.